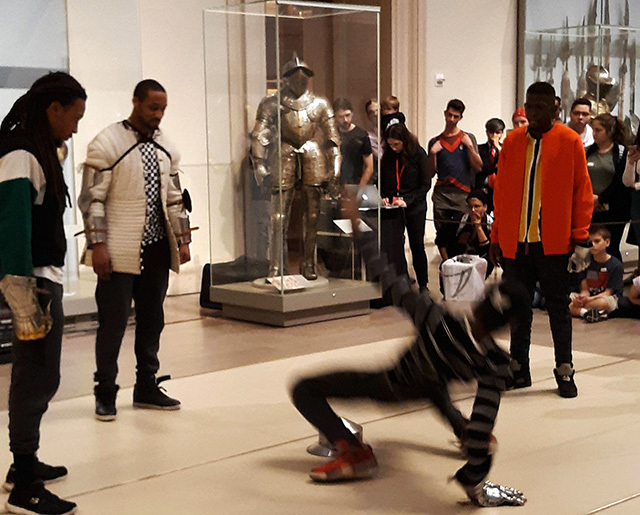 The Metropolitan Museum of Arts brings hip hop to its Arts and Armor department in a new series of dance battles. The exhibition is free to museum members and the general public. 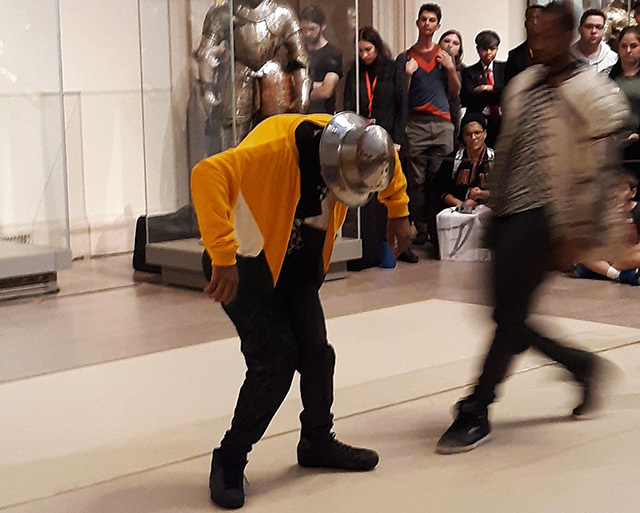 The show came together because the museum’s curators wanted to illustrate how hip hop dance movements are similar to those of medieval knights in battles. 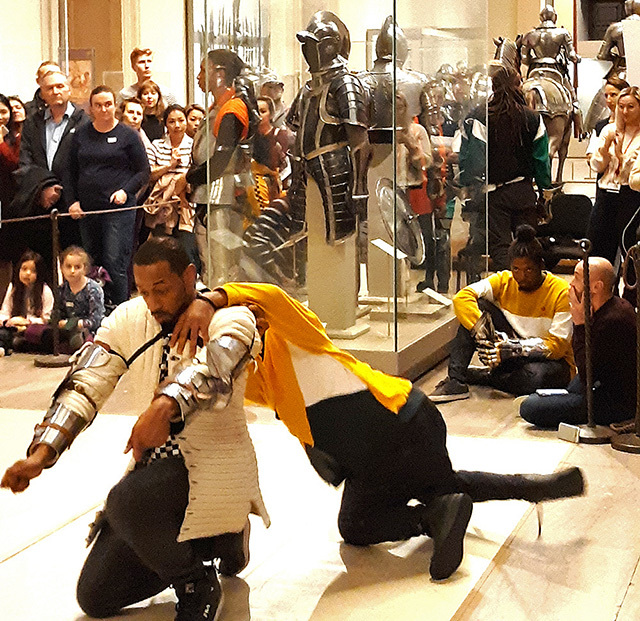 The dancers wear replica medieval armor provided by the Met. 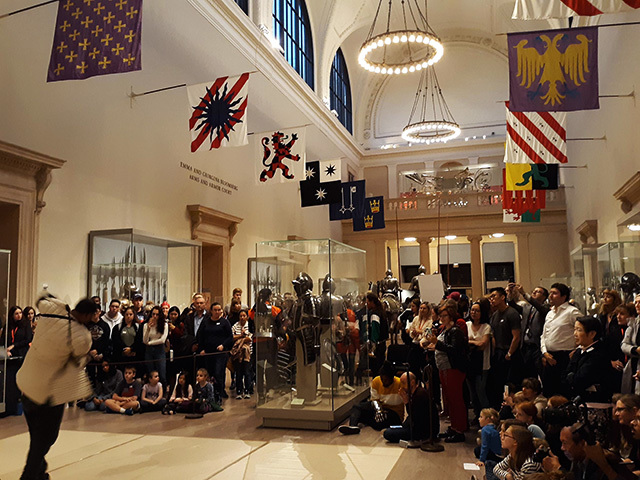 “I was very set on finding a wide range of things, in different sizes, different styles, so the dancers would have options, and they could choose, for each of them individually, what would speak to them, and what would fit their dancing style,” said Pierre Terjanian, curator of Arts and Armor. 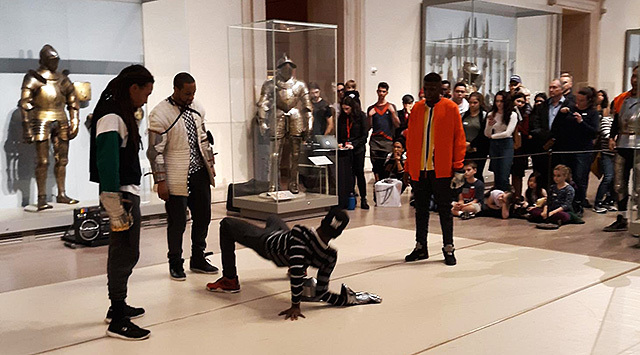 It’s Showtime NYC, an urban dance organization that focuses on the structure, art, and mentorship of its dancers, was the main attraction. Joel Scott, consultant for It’s Showtime NYC, beamed with pride when speaking about some of the dancers. “Every couple of months, I meet with the dancers. I interview them. We do forums on creating how to communicate and how to be a professional, how to get along with each other as a group. Obviously they’ve done that really well because they’re at the Met!” said Scott. Met curator Terjanian said the two groups are learning from each other. “I try to provide a toolkit so to speak, about arms and armor back then. They taught me about hip-hop! So it’s going both ways and it was this exchange,” he said. The Battle! 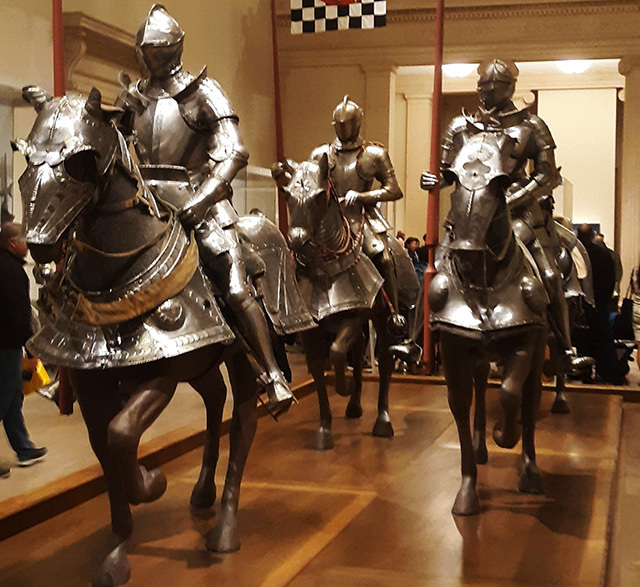 Hip Hop in Armor continues until 2019. If you would like to see the show visit the Metropolitan Museum located at 1000 Fifth Avenue New York, NY 10028. Added by Christine Mckenna on November 8, 2018.